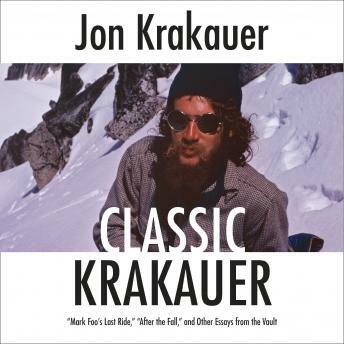 Listen to "Classic Krakauer: 'Mark Foo's Last Ride,' 'After the Fall,' and Other Essays from the Vault" on your iOS and Android device. Good short stories involving outdoor adventures. I enjoyed the listen . he is an excellent writer and stories kept me engaged.